We’ve always said it & we’ll always keep saying it- green lifestyle is not cult, it’s just common sense and it starts with a green household. Get some home improvement inspiration by UrbanMeister reader and green living enthusiast Emma B. Joyce who tells us how to make everyday home activities and requirements more eco-friendly and what are the benefits of a green household on budgets and time. Our platform UrbanMeisters is a thriving network of green living practitioners, experts and believers who want to ‘meister’ or master a healthy and sustainable lifestyle. We love to connect you to these UrbanMeisters and share their knowledge, experience, recommendations & expertise to spread the green word and inspire you everyday! And today’s guest writer is one such urban running a successful green household with planning and precision. Meet Emma who is a huge fan of everything green – from exploring environmentally-friendly energy resources to using eco-friendly diapers for her kids. She is also an aspiring writer and just loves sharing her experiences with other people, especially fellow green enthusiasts. Interior decorating is her passion so she likes to combine it with an eco-friendly way of life. Read her green household tips in her own words on today’s #HomeImprovement feature. Trying to run a household can really can a toll on your health, energy and, more than anything else, your budget. Cooking fresh and healthy meals day after day, purchasing new clothes, putting gas in your car, renovating your home every couple of years and going to vacations can be pricier than you could have ever imagined in your wildest dreams. And if you throw in a couple of kids in the mix, you might as well be one of the Rockefellers in order to live carelessly – kids simply need so much stuff! Moreover, all those things are super expensive, no matter how old your children are: from diapers and baby clothes to school supplies and extracurricular activities. However, there are a few things you could easily save money on and, if you manage to plan ahead and be a smart parent, this can be done with the things you kids need too. You can use recycled resources very efficiently to have green household and not just when renovating your home, but also on a daily basis. But you will need to put in some work first and come up with several sustainable ideas to get you started on a green household. Once you manage to establish a system, you’ll be able to save money month after month and also help the planet a great deal. So, here are a few tips that might help you use recycled resources in a totally eco-friendly way to make a dream green household! Among the many amazing benefits of recycling, there are two that are vital for your household every day – saving resources and saving energy. Using second-hand products isn’t always an option, especially with more complex home interventions, but is quite all right when it comes to turning used materials into new resources. This way, you can use and reuse the same things over and over again, not having to spend a single dime. By using recycled resources, you also indirectly save our planet’s reserves of raw materials as well, which is quite important. On top of that, the process of producing recycled materials uses less energy than turning raw resources in usable products, which is another amazing benefit of recycling. Finally, all this turns into more money on your bank account, not just during long and expensive projects such as home renovation, but also in everyday situations too. When it comes to preparing your meals and organizing your kitchen, not many people realize how important adopting an eco-friendly lifestyle really is. 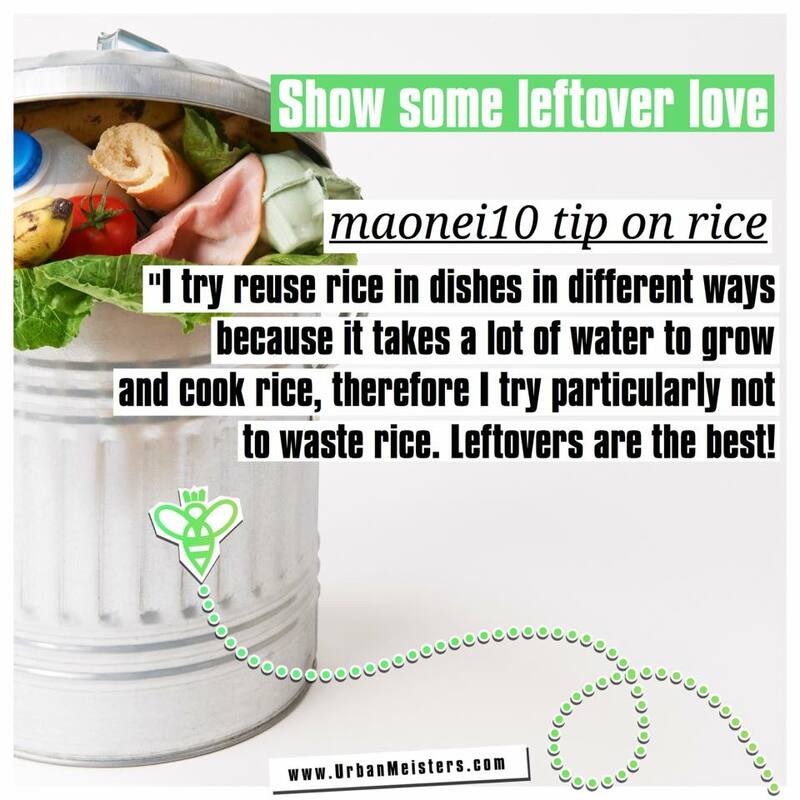 They think cooking should be all about fresh meat and vegetables and high-quality ingredients and while this definitely is so, it still doesn’t mean there’s no room for recycled resources in your pans and pots. 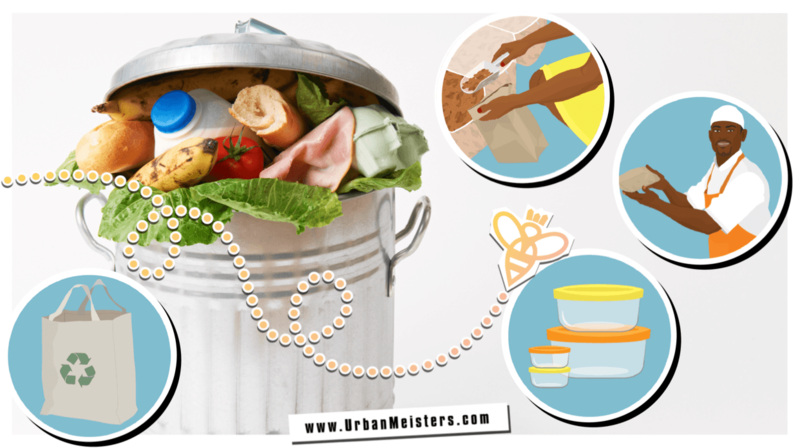 One of the biggest problems of modern food industry, from the high-end restaurants and hotels to fast food joints and street food vendors, is waste management and the amount of food they constantly throw away. The same situation might be present in your kitchen as well, so you need to address this as soon as possible. 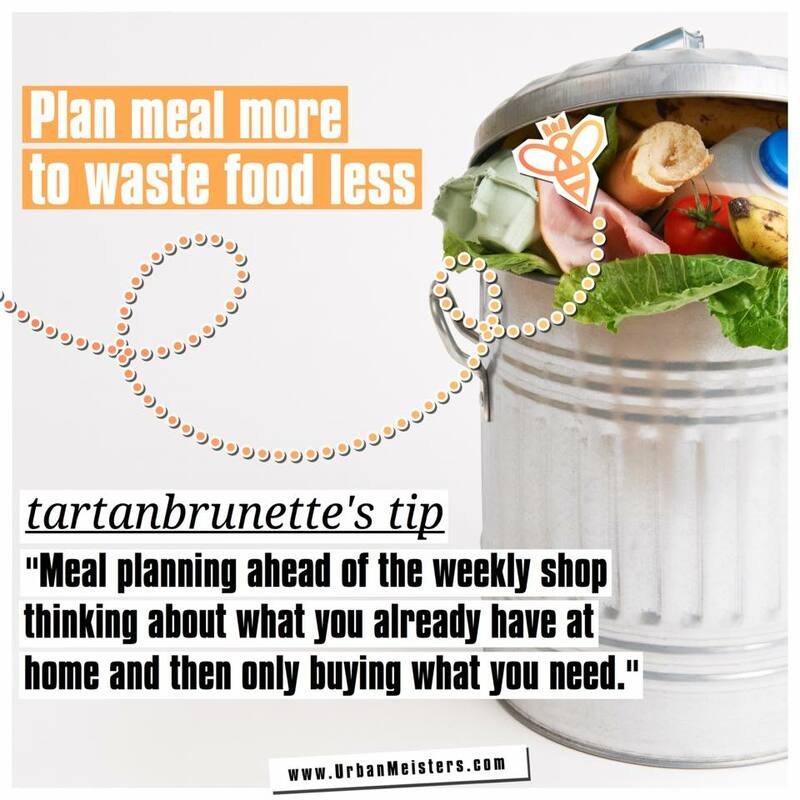 Read UrbanMeisters special feature with eReplacementParts blog to bring you tips on how to manage and reduce food waste effectively in your kitchen. 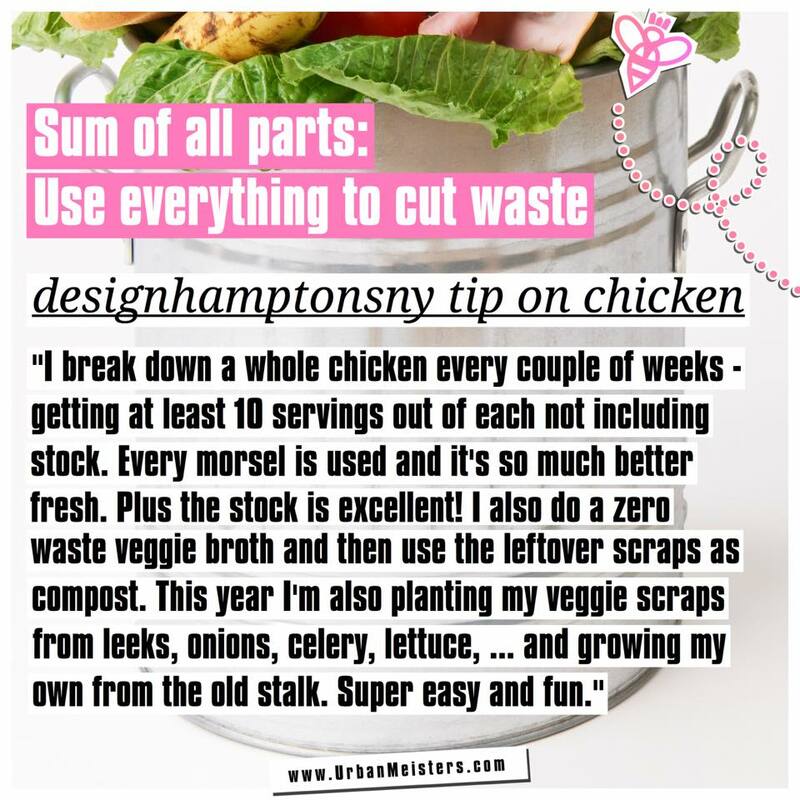 The first step towards kitchen recycling is not buying too much food – knowing how much your family eats is paramount and purchasing the right amount of ingredients prevents you from throwing uneaten food away. By not purchasing an excessive amount of food, you’ll not only spend less during your weekly shopping tour, but also minimize the demand for fresh ingredients in your neighborhood, and that’s something we all need. Speaking of kitchens, have you ever thought about using recycled materials when renovating your home? Opting for reclaimed wood instead of new and turning it into usable material for your kitchen cabinets might be the most sustainable idea you’ve had in a while and something definitely worth trying out. Alternatively, use your old cabinets to build new kitchen furniture such as islands, tables, shelves, countertops, frames and even doors. They might look old, but certainly have their own appeal, especially when treated with eco-friendly and natural paint. Another room that can easily accommodate recycled furniture is the bedroom. Although it’s the most sacred room of your home – and therefore supposed to be equipped with the furniture of the highest quality – you don’t always have to break the bank when furnishing it. Making a king-size bed out of reclaimed wood is one of the easiest and most affordable ways to ensure you get a good night’s sleep after a long day, while reusing your old shadow boxes as a way to organize all your essentials is quite a nifty way to save some money. You can even turn recycled wood pallets into a wardrobe or a bookcase. Finally, you can always refurbish some old living room armchairs or even a sofa and furnish your bedroom with these items. The best way to simultaneously save lots of money, help the environment and show how eco-friendly and sustainable you are is to use alternative water and energy sources. This isn’t easy and it may cost a lot in the beginning, but it will definitely pay off over the course of time which will, ultimately, cut your bills in half. Using groundwater instead of tap water, for instance, will first require you to consult trustworthy groundwater engineering professionals who will determine the quality of your water supply. Once they say everything’s in order, you can use this water as much as you want – for bathing, watering plants, cooking and even for a pool you’ve built in your backyard. Producing your own energy can be a bit trickier, but it’s still manageable if you make a proper plan. Everyone living in a hot area can install solar panels on their roofs and save a considerable amount of energy that way, while people living in windy areas or on mountains might want to consider installing a couple of home wind turbines. These might look strange at first, but they can really utilize wind power around your house – and if you don’t want to invest a lot of money upfront, you can probably build your own turbines first and check how much energy they can generate before moving onto larger models. 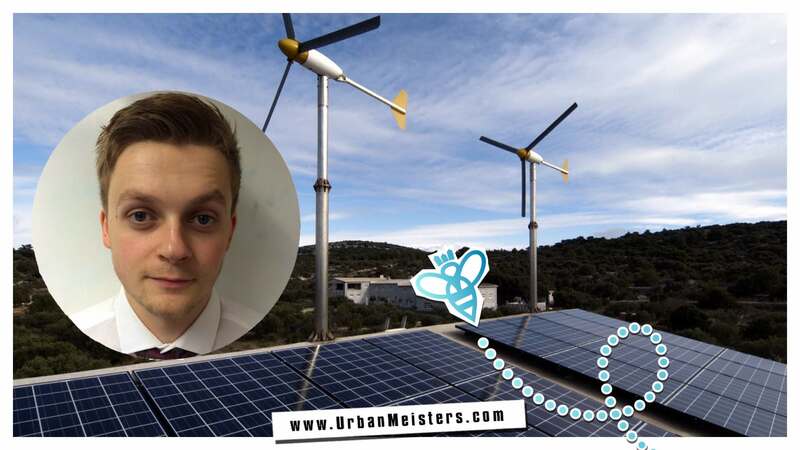 Read more tips on effective home energy management by UrbanMeister Gareth. Becoming and staying eco-friendly isn’t easy in this day and age – people are busy all day long and have no time for themselves nor for the planet Earth. However, you don’t have to do much, if you’re doing your share of the work every single day. Opting for alternative resources, producing your own energy, switching to groundwater, recycling and reusing building material and furniture, as well as making smart choices in the kitchen is a great start for building a green household. Read more sustainable home tips that will cut household expenditure. Green living has so much to offer you. A healthier lifestyle, less pressure on the environment and even money saved! That’s why we say readers #GreeningIsWinning!